The Masai Mara is world renowned for its breathtaking spectacle of the greatest wildlife show on earth the awe inspiring annual migration where over a million wildebeest closely followed by Zebra cross over from the Serengeti into the Mara after the long rains. You will forever remember your first game drive in the Masai Mara. The grand reserve has played host to nature's grand spectacle the Great Wildebeest and Zebra migration for many lifetimes. Feast your eyes on nature's best game viewing experiences. 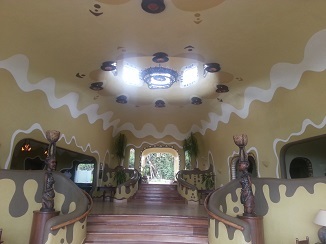 Arrive at AIRKENYA‚ Wilson Airport for your morning/afternoon flight into the Masai Mara. The morning departures depart early bird at 0800 am or 1030 a.m. If you are booked an afternoon flight your departure is 1400pm. 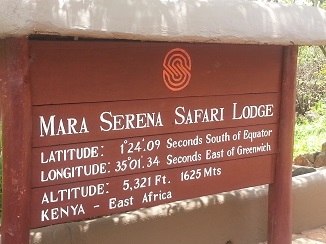 Flying time to the Masai Mara Game Reserve is approximately 45 minutes. Check-in at Wilson is one hour before flight departure. Upon arrival in the Mara you will be met at the airstrip by a Lodge Representative who will take you on a short game drive enroute to the Mara Serena Lodge. For morning arrivals‚ lunch will be enjoyed at the Lodge as the afternoon cools‚ for even the animals rest and wait for the cooler late afternoon before coming out in splendor. Your first game drive therefore takes place in the afternoon. Dinner and overnight at the lodge. Early mornings are amongst the best times of the day for amazing game viewing. As early as 6.30am set off for your early morning game drive. This package offers a "Hippo pool bush breakfast" which could happen on any morning of your stay. Lunch at the Lodge. Game drives take place twice a day and when it comes to game-viewing‚ there is nowhere in Africa richer in wildlife or more eventful in encounters than the Masai Mara. A pristine wilderness of haunting beauty‚ it promises its visitors a profusion of wildlife‚ prolific bird life and the unprecedented opportunity of catching up with all the members of the 'Big Five' (Lion‚ Elephant‚ Rhino‚ Leopard and Buffalo) in one morning. As to scenery‚ the 1‚800 sq kilometers of this veteran reserve offers the classic mix of African imagery‚ miles of lion-gold grasslands‚ shoals of lilac-misted hills‚ meandering rivers‚ acres of thorn-bush and mile upon mile of undulating wilderness. 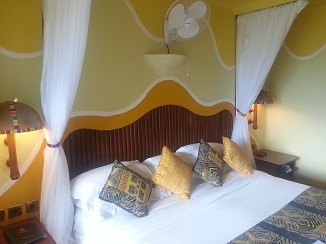 no two days are ever the same least of all in the Masai Mara. By now you know when you wake for the early morning game drive a magical game viewing experience awaits. 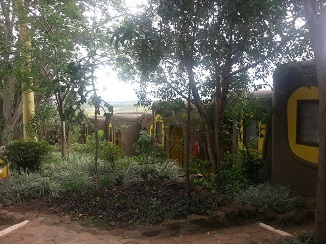 Mara Serena also offers an enlightening nature walk (own cost) and Maasai manyatta visit (own cost) you can arrange either with Guest relations at the Lodge. You will either enjoy your last game drive and breakfast before proceeding to the Serena Airstrip for your flight back to Wilson Airport. If you arrived in the afternoon and opted for return in the afternoon you will enjoy a morning game drive and lunch in the Mara before your afternoon flight back to Wilson. Upon arrival at Wilson Airport your safari ends.